Here’s a short music video by BDubEZ of Brigada Music performing “Rise of the champion. Recently, he dropped his latest album “The Last Return”. BDubEZ is back. Having his name known as a producer, manager, and rising artist, Bdubez is the founder and CEO of Brigada music group. Heavily influenced by working with the top rappers in the industry as well as underground, he too wants to be heard through his music. Since 2003, this Brooklyn native has been working hard to start off becoming his own promoter, a&r, accountant, and producer. His First Album “My One Shot” has sold nation wide and his fist digital record “infamy never ends mixtape” downloaded over 30,000 times in myspace.Not only He has been managing his label Brigada music group he has signed his first artist Sarah Juelz. Bdubez released his album “The Last Return” this year featuring rocko, cori star, knowa lazarus, sevenes and more. He has now returned back into the scene to make major league moves. This entry was posted in music on February 28, 2010 by Kevin Hsieh - channel APA. Here’s an interesting short documentary about Dr. Ted Fujita (aka Dr. Tetsuya Theodore Fujita) – most known for his work on tornadoes. “Mr. Tornado” devised the internationally accepted standard for measuring tornado severity (Fujita scale aka F-scale), discovered microbursts and downbursts, and their link to commercial airline crashes. This documentary for The Weather Channel took home a Telly Award. This entry was posted in documentary, science, shorts, technology on February 28, 2010 by Kevin Hsieh - channel APA. The guys of Wong Fu Productions drop in on everyone’s favorite DIY furniture store IKEA. A few weeks ago, they showed us their new office (See Wong Fu Weekends : Episode 2) Look how easily they’re distracted on the showroom floor like reenact a scene from (500) Days of Summer and Metal Gear, learn to speak Swedish, and do Christopher Walken impressions. They didn’t end up buying anything for the office, they did get a pair of ice cream cones. This entry was posted in comedy, shorts on February 27, 2010 by Kevin Hsieh - channel APA. While KevJumba is still trying to decide his career path, he takes a stab at becoming a SoReal Cru dancer. His freestyle moves don’t quite make the cut to be a dancer. Take a look at his moves from cartwheels to tutting and you’ll see why. He’s still figuring out what he wants to do, so suggest an occupation he should try. He’s not following his dad’s footsteps. KevJumba’s also reppin’ Wong Fu with a Nice Guy T-shirt in the video. BTW – KevJumba will be at Kollaboration 10. You can still win tickets to Kollaboration 10. This entry was posted in comedy, dance on February 27, 2010 by Kevin Hsieh - channel APA. A few weeks back, the guys at the404 interview Japanese pop star Leah Dizon. She talks about how she got into music, life in Japan, and technology differences between US and Japan. The model turned singer isn’t Japanese, but picked up the language in high school. Also if you missed it, check out the404 interview with the guys from Secret Identities. This entry was posted in interview, technology on February 27, 2010 by Kevin Hsieh - channel APA. 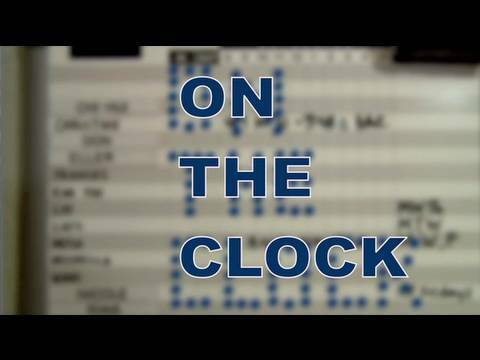 As we get closer to the 2010 San Francisco Asian American Film Festival, this episode of On the Clock features director Valerie Soe. Her short documentary The Oak Park Story will be screened with MANILATOWN IS IN THE HEART. The film festival runs from March 11-21, 2010. This entry was posted in filmfestival, interview, san francisco, shorts on February 27, 2010 by Kevin Hsieh - channel APA.